Chapter 143 - State Departments, Institutions, and Commissions. Article 1 - Executive Budget Act. § 143-1: Repealed by Session Laws 2006-203, s. 1, effective July 1, 2007, and applicable to the budget for the 2007-2009 biennium and each subsequent biennium thereafter. § 143-2: Repealed by Session Laws 2006-203, s. 1, effective July 1, 2007, and applicable to the budget for the 2007-2009 biennium and each subsequent biennium thereafter. § 143-3: Repealed by Session Laws 2006-203, s. 1, effective July 1, 2007, and applicable to the budget for the 2007-2009 biennium and each subsequent biennium thereafter. § 143-3.1: Repealed by Session Laws 2006-203, s. 1, effective July 1, 2007, and applicable to the budget for the 2007-2009 biennium and each subsequent biennium thereafter. § 143-3.2: Repealed by Session Laws 2006-203, s. 1, effective July 1, 2007, and applicable to the budget for the 2007-2009 biennium and each subsequent biennium thereafter. § 143-3.3: Repealed by Session Laws 2006-203, s. 1, effective July 1, 2007, and applicable to the budget for the 2007-2009 biennium and each subsequent biennium thereafter. § 143-3.4: Repealed by Session Laws 2006-203, s. 1, effective July 1, 2007, and applicable to the budget for the 2007-2009 biennium and each subsequent biennium thereafter. § 143-3.5: Repealed by Session Laws 2006-203, s. 1, effective July 1, 2007, and applicable to the budget for the 2007-2009 biennium and each subsequent biennium thereafter. § 143-3.7: Repealed by Session Laws 1997-443, s. 23(b). § 143-4: Repealed by Session Laws 2006-203, s. 1, effective July 1, 2007, and applicable to the budget for the 2007-2009 biennium and each subsequent biennium thereafter. § 143-4.1: Repealed by Session Laws 2006-203, s. 1, effective July 1, 2007, and applicable to the budget for the 2007-2009 biennium and each subsequent biennium thereafter. § 143-5: Repealed by Session Laws 2006-203, s. 1, effective July 1, 2007, and applicable to the budget for the 2007-2009 biennium and each subsequent biennium thereafter. § 143-6: Repealed by Session Laws 2006-203, s. 1, effective July 1, 2007, and applicable to the budget for the 2007-2009 biennium and each subsequent biennium thereafter. § 143-6.1: Repealed by Session Laws 2006-203, s. 1, effective July 1, 2007, and applicable to the budget for the 2007-2009 biennium and each subsequent biennium thereafter. § 143-6.2. Repealed by Session Laws 2006-203, s. 1, effective July 1, 2007, and applicable to the budget for the 2007-2009 biennium and each subsequent biennium thereafter. § 143-7: Repealed by Session Laws 2006-203, s. 1, effective July 1, 2007, and applicable to the budget for the 2007-2009 biennium and each subsequent biennium thereafter. § 143-8: Repealed by Session Laws 2006-203, s. 1, effective July 1, 2007, and applicable to the budget for the 2007-2009 biennium and each subsequent biennium thereafter. § 143-9: Repealed by Session Laws 2006-203, s. 1, effective July 1, 2007, and applicable to the budget for the 2007-2009 biennium and each subsequent biennium thereafter. § 143-10: Repealed by Session Laws 2006-203, s. 1, effective July 1, 2007, and applicable to the budget for the 2007-2009 biennium and each subsequent biennium thereafter. § 143-10.1: Repealed by Session Laws 1991, c. 689, s. 342. § 143-10.1A: Repealed by Session Laws 2006-203, s. 1, effective July 1, 2007, and applicable to the budget for the 2007-2009 biennium and each subsequent biennium thereafter. § 143-10.2: Repealed by Session Laws 2006-203, s. 1, effective July 1, 2007, and applicable to the budget for the 2007-2009 biennium and each subsequent biennium thereafter. §§ 143-10.3 through 143-10.6: Repealed by Session Laws 2001-424, s. 12.2(a), effective July 1, 2001. § 143-10.7: Repealed by Session Laws 2006-203, s. 1, effective July 1, 2007, and applicable to the budget for the 2007-2009 biennium and each subsequent biennium thereafter. § 143-11: Repealed by Session Laws 2006-203, s. 1, effective July 1, 2007, and applicable to the budget for the 2007-2009 biennium and each subsequent biennium thereafter. § 143-11.1: Repealed by Session Laws 1983, c. 717, s. 55. § 143-12: Repealed by Session Laws 2006-203, s. 1, effective July 1, 2007, and applicable to the budget for the 2007-2009 biennium and each subsequent biennium thereafter. § 143-12.1: Repealed by Session Laws 2006-203, s. 1, effective July 1, 2007, and applicable to the budget for the 2007-2009 biennium and each subsequent biennium thereafter. § 143-13: Repealed by Session Laws 2006-203, s. 1, effective July 1, 2007, and applicable to the budget for the 2007-2009 biennium and each subsequent biennium thereafter. § 143-14: Repealed by Session Laws 2006-203, s. 1, effective July 1, 2007, and applicable to the budget for the 2007-2009 biennium and each subsequent biennium thereafter. § 143-15: Repealed by Session Laws 2006-203, s. 1, effective July 1, 2007, and applicable to the budget for the 2007-2009 biennium and each subsequent biennium thereafter. § 143-15.1: Repealed by Session Laws 2006-203, s. 1, effective July 1, 2007, and applicable to the budget for the 2007-2009 biennium and each subsequent biennium thereafter. § 143-15.2: Repealed by Session Laws 2006-203, s. 1, effective July 1, 2007, and applicable to the budget for the 2007-2009 biennium and each subsequent biennium thereafter. § 143-15.3: Repealed by Session Laws 2006-203, s. 1, effective July 1, 2007, and applicable to the budget for the 2007-2009 biennium and each subsequent biennium thereafter. § 143-15.3A: Repealed by Session Laws 2006-203, s. 1, effective July 1, 2007, and applicable to the budget for the 2007-2009 biennium and each subsequent biennium thereafter. § 143-15.3B: Repealed by Session Laws 2006-203, s. 1, effective July 1, 2007, and applicable to the budget for the 2007-2009 biennium and each subsequent biennium thereafter. § 143-15.3C: Repealed by Session Laws 2006-203, s. 1, effective July 1, 2007, and applicable to the budget for the 2007-2009 biennium and each subsequent biennium thereafter. § 143-15.3D: Repealed by Session Laws 2006-203, s. 1, effective July 1, 2007, and applicable to the budget for the 2007-2009 biennium and each subsequent biennium thereafter. § 143-15.3E: Repealed by Session Laws 2006-203, s. 1, effective July 1, 2007, and applicable to the budget for the 2007-2009 biennium and each subsequent biennium thereafter. § 143-15.4: Repealed by Session Laws 2006-203, s. 1, effective July 1, 2007, and applicable to the budget for the 2007-2009 biennium and each subsequent biennium thereafter. § 143-16: Repealed by Session Laws 2006-203, s. 1, effective July 1, 2007, and applicable to the budget for the 2007-2009 biennium and each subsequent biennium thereafter. § 143-16.1: Repealed by Session Laws 2006-203, s. 1, effective July 1, 2007, and applicable to the budget for the 2007-2009 biennium and each subsequent biennium thereafter. § 143-16.2: Repealed by Session Laws 2006-203, s. 1, effective July 1, 2007, and applicable to the budget for the 2007-2009 biennium and each subsequent biennium thereafter. § 143-16.3: Repealed by Session Laws 2006-203, s. 1, effective July 1, 2007, and applicable to the budget for the 2007-2009 biennium and each subsequent biennium thereafter. § 143-16.4: Repealed by Session Laws 2006-203, s. 1, effective July 1, 2007, and applicable to the budget for the 2007-2009 biennium and each subsequent biennium thereafter. § 143-16.5: Repealed by Session Laws 1999-237, s. 19a, effective June 30, 1999, and applicable to agreements entered on or after November 15, 1998. § 143-16.6: Repealed by Session Laws 2006-203, s. 1, effective July 1, 2007, and applicable to the budget for the 2007-2009 biennium and each subsequent biennium thereafter. § 143-16.7: Repealed by Session Laws 2006-203, s. 1, effective July 1, 2007, and applicable to the budget for the 2007-2009 biennium and each subsequent biennium thereafter. § 143-17: Repealed by Session Laws 2006-203, s. 1, effective July 1, 2007, and applicable to the budget for the 2007-2009 biennium and each subsequent biennium thereafter. § 143-18: Repealed by Session Laws 2006-203, s. 1, effective July 1, 2007, and applicable to the budget for the 2007-2009 biennium and each subsequent biennium thereafter. § 143-18.1: Repealed by Session Laws 2006-203, s. 1, effective July 1, 2007, and applicable to the budget for the 2007-2009 biennium and each subsequent biennium thereafter. § 143-19: Repealed by Session Laws 2006-203, s. 1, effective July 1, 2007, and applicable to the budget for the 2007-2009 biennium and each subsequent biennium thereafter. § 143-20: Repealed by Session Laws 2006-203, s. 1, effective July 1, 2007, and applicable to the budget for the 2007-2009 biennium and each subsequent biennium thereafter. § 143-20.1: Repealed by Session Laws 2006-203, s. 1, effective July 1, 2007, and applicable to the budget for the 2007-2009 biennium and each subsequent biennium thereafter. § 143-21: Repealed by Session Laws 2006-203, s. 1, effective July 1, 2007, and applicable to the budget for the 2007-2009 biennium and each subsequent biennium thereafter. § 143-22: Repealed by Session Laws 2006-203, s. 1, effective July 1, 2007, and applicable to the budget for the 2007-2009 biennium and each subsequent biennium thereafter. § 143-23: Repealed by Session Laws 2006-203, s. 1, effective July 1, 2007, and applicable to the budget for the 2007-2009 biennium and each subsequent biennium thereafter. § 143-23.1. Repealed by Session Laws 1985, c. 290, s. 4, effective July 1, 1985. § 143-23.2: Repealed by Session Laws 2006-203, s. 1, effective July 1, 2007, and applicable to the budget for the 2007-2009 biennium and each subsequent biennium thereafter. § 143-23.3: Repealed by Session Laws 2006-203, s. 1, effective July 1, 2007, and applicable to the budget for the 2007-2009 biennium and each subsequent biennium thereafter. § 143-24: Repealed by Session Laws 2006-203, s. 1, effective July 1, 2007, and applicable to the budget for the 2007-2009 biennium and each subsequent biennium thereafter. § 143-25: Repealed by Session Laws 2006-203, s. 1, effective July 1, 2007, and applicable to the budget for the 2007-2009 biennium and each subsequent biennium thereafter. § 143-26: Repealed by Session Laws 2006-203, s. 1, effective July 1, 2007, and applicable to the budget for the 2007-2009 biennium and each subsequent biennium thereafter. § 143-27: Repealed by Session Laws 2006-203, s. 1, effective July 1, 2007, and applicable to the budget for the 2007-2009 biennium and each subsequent biennium thereafter. § 143-27.1. Repealed by Session Laws 1979, 2nd Session, c. 1137, s. 43. § 143-28: Repealed by Session Laws 2006-203, s. 1, effective July 1, 2007, and applicable to the budget for the 2007-2009 biennium and each subsequent biennium thereafter. § 143-28.1: Repealed by Session Laws 2006-203, s. 1, effective July 1, 2007, and applicable to the budget for the 2007-2009 biennium and each subsequent biennium thereafter. § 143-29: Repealed by Session Laws 2006-203, s. 1, effective July 1, 2007, and applicable to the budget for the 2007-2009 biennium and each subsequent biennium thereafter. § 143-30: Repealed by Session Laws 2006-203, s. 1, effective July 1, 2007, and applicable to the budget for the 2007-2009 biennium and each subsequent biennium thereafter. § 143-31: Repealed by Session Laws 2006-203, s. 1, effective July 1, 2007, and applicable to the budget for the 2007-2009 biennium and each subsequent biennium thereafter. § 143-31.1: Repealed by Session Laws 2006-203, s. 1, effective July 1, 2007, and applicable to the budget for the 2007-2009 biennium and each subsequent biennium thereafter. § 143-31.3: Repealed by Session Laws 2006-203, s. 1, effective July 1, 2007, and applicable to the budget for the 2007-2009 biennium and each subsequent biennium thereafter. § 143-31.4: Repealed by Session Laws 2006-203, s. 1, effective July 1, 2007, and applicable to the budget for the 2007-2009 biennium and each subsequent biennium thereafter. § 143-31.5: Repealed by Session Laws 2006-203, s. 1, effective July 1, 2007, and applicable to the budget for the 2007-2009 biennium and each subsequent biennium thereafter. § 143-32: Repealed by Session Laws 2006-203, s. 1, effective July 1, 2007, and applicable to the budget for the 2007-2009 biennium and each subsequent biennium thereafter. § 143-33: Repealed by Session Laws 2006-203, s. 1, effective July 1, 2007, and applicable to the budget for the 2007-2009 biennium and each subsequent biennium thereafter. § 143-34: Repealed by Session Laws 2006-203, s. 1, effective July 1, 2007, and applicable to the budget for the 2007-2009 biennium and each subsequent biennium thereafter. § 143-34.1: Repealed by Session Laws 2006-203, s. 1, effective July 1, 2007, and applicable to the budget for the 2007-2009 biennium and each subsequent biennium thereafter. § 143-34.2: Repealed by Session Laws 2006-203, s. 1, effective July 1, 2007, and applicable to the budget for the 2007-2009 biennium and each subsequent biennium thereafter. § 143-34.3. Repealed by Session Laws 1977, c. 802, s. 15.20. § 143-34.5: Repealed by Sessions Laws 1985, c. 479, s. 160. § 143-34.6: Repealed by Session Laws 2006-203, s. 1, effective July 1, 2007, and applicable to the budget for the 2007-2009 biennium and each subsequent biennium thereafter. § 143-34.7: Repealed by Session Laws 2006-203, s. 1, effective July 1, 2007, and applicable to the budget for the 2007-2009 biennium and each subsequent biennium thereafter. Article 1A - Periodic Review of Certain State Agencies. § 143-34.10: Repealed by Session Laws 1981, c. 932, s. 1. § 143-34.11. Certain General Statutes provisions repealed effective July 1, 1979. §§ 143-34.12 through 143-34.21: Repealed by Session Laws 1981, c. 932, s. 1. § 143-34.22. Reserved for future codification purposes. § 143-34.23. Reserved for future codification purposes. § 143-34.24. Reserved for future codification purposes. Article 1.2 - Legislative Committee on Agency Review. §§ 143-34.25 through 143-34.27: Expired. §§ 143-34.28 through 143-34.39. Reserved for future codification purposes. Article 1B - Capital Improvement Planning Act. § 143-34.40: Repealed by Session Laws 2006-203, s. 2, effective July 1, 2007, and applicable to the budget for the 2007-2009 biennium and each subsequent biennium thereafter. § 143-34.41: Repealed by Session Laws 2006-203, s. 2, effective July 1, 2007, and applicable to the budget for the 2007-2009 biennium and each subsequent biennium thereafter. § 143-34.42: Repealed by Session Laws 2006-203, s. 2, effective July 1, 2007, and applicable to the budget for the 2007-2009 biennium and each subsequent biennium thereafter. § 143-34.43: Repealed by Session Laws 2006-203, s. 2, effective July 1, 2007, and applicable to the budget for the 2007-2009 biennium and each subsequent biennium thereafter. § 143-34.44: Repealed by Session Laws 2006-203, s. 2, effective July 1, 2007, and applicable to the budget for the 2007-2009 biennium and each subsequent biennium thereafter. § 143-34.45: Repealed by Session Laws 2006-203, s. 2, effective July 1, 2007, and applicable to the budget for the 2007-2009 biennium and each subsequent biennium thereafter. Article 2 - State Personnel Department. §§ 143-35 through 143-47: Repealed by Session Laws 1965, c. 640, s. 1. Article 2A - Incentive Award Program for State Employees. §§ 143-47.1 through 143-47.5: Repealed by Session Laws 1965, c. 640, s. 1. Article 2B - Notice of Appointments to Public Offices. § 143-47.7. Notice and record of appointment required. § 143-47.8: Repealed by Session Laws 2003-374, s. 3, effective August 31, 2003. § 143-47.9. Subsistence, per diem compensation, and travel allowances conditioned on filing of notice. §§ 143-47.10 through 143-47.14. Reserved for future codification purposes. Article 2C - Limit on Number of State Employees. §§ 143-47.15 through 143-47.20: Repealed by Session Laws 1989, c. 752, s. 45. Article 2D - North Carolina Board for Need-Based Student Loans. §§ 143-47.21 through 143-47.24: Repealed by Session Laws 1987, c. 738, s. 41(c). Article 3 - Purchases and Contracts. § 143-48. State policy; cooperation in promoting the use of small contractors, minority contractors, physically handicapped contractors, and women contractors; purpose; required annual reports. § 143-48.1. Medicaid program exemption. § 143-48.2. Procurement program for nonprofit work centers for the blind and the severely disabled. § 143-48.4. Statewide uniform certification of historically underutilized businesses. § 143-48.5. Contractors must use E-Verify. § 143-48.6. Personal services contracts subject to Article. § 143-49. Powers and duties of Secretary. § 143-49.1. Purchases by volunteer nonprofit fire department and lifesaving and rescue squad. § 143-50. Certain contractual powers exercised by other departments transferred to Secretary. § 143-50.1. Division of Purchase and Contract; Contract Management Section. § 143-51. Reports to Secretary required of all agencies as to needs and purchases. § 143-52. Competitive bidding procedure; consolidation of estimates by Secretary; bids; awarding of contracts; cost plus percentage of cost contracts strictly prohibited. § 143-52.1. Award recommendations; State Purchasing Officer action. § 143-52.2: Repealed by Session Laws 2014-115, s. 11.1, effective August 11, 2014. § 143-52.3. Multiple award schedule contracts. § 143-53.1. Setting of benchmarks; increase by Secretary. § 143-54. Certification that bids were submitted without collusion. § 143-55. Requisitioning by agencies; must purchase through sources certified. § 143-56. Certain purchases excepted from provisions of Article. § 143-57. Purchases of articles in certain emergencies. § 143-57.1. Furniture requirements contracts. § 143-58. Contracts contrary to provisions of Article made void. § 143-58.1. Unauthorized use of public purchase or contract procedures for private benefit. § 143-58.2. State policy; bid procedures and specifications; identification of products. § 143-58.3. Purchase of recycled paper and paper products; goals. § 143-58.4. Energy credit banking and selling program. § 143-58.5. Alternative Fuel Revolving Fund. § 143-58.6. Specifications for use of coal combustion products. § 143-58.7. Contracts with Youth Conservation Corps. § 143-59. Preference given to North Carolina products and citizens, and articles manufactured by State agencies; reciprocal preferences. § 143-59.1. Contracts with certain foreign vendors. § 143-59.1A. Preference given to products made in United States. § 143-59.2. Certain vendors prohibited from contracting with State. § 143-59.3. Contracts for the purchase of reconstituted or recombined fluid milk products prohibited. § 143-59.4. Contracts performed outside the United States. § 143-60. Rules covering certain purposes. § 143-61. Repealed by Session Laws 1975, c. 879, s. 45. § 143-62. Law applicable to printing Supreme Court Reports not affected. § 143-63. Financial interest of officers in sources of supply; acceptance of bribes. § 143-63.1. Sale, disposal and destruction of firearms. § 143-63.2. Purchase of tires for State vehicles; repair or refurbishment of tires for State vehicles. § 143-64: Repealed by Session Laws 2012-89, s. 1, effective June 28, 2012. Article 3A - Surplus Property. § 143-64.01. Department of Administration designated State Surplus Property Agency. § 143-64.03. Powers and duties of the State agency for surplus property. § 143-64.04. Powers of the Secretary to delegate authority. § 143-64.05. Service charge; receipts. § 143-64.06. North Carolina State University may sell timber. § 143-64.1. Department of Administration designated State agency for federal surplus property. § 143-64.2. Authority and duties of the State agency for federal surplus property. § 143-64.3. Power of Department of Administration and Secretary to delegate authority. § 143-64.4. Warehousing, transfer, etc., charges. § 143-64.5. Department of Agriculture and Consumer Services exempted from application of Article. § 143-64.6: Repealed by Session Laws 2004-199, s. 36(a), effective August 17, 2004. §§ 143-64.7 through 143-64.9. Reserved for future codification purposes. Article 3B - Conservation of Energy, Water, and Other Utilities in Government Facilities. § 143-64.12. Authority and duties of the Department; State agencies and State institutions of higher learning. § 143-64.13: Repealed by Session Laws 1993, c. 334, s. 5. § 143-64.14: Recodified as § 143-64.16 by Session Laws 1993, c. 334, s. 7. § 143-64.15. Life-cycle cost analysis. § 143-64.15A. Certification of life-cycle cost analysis. § 143-64.16. Application of Part. § 143-64.17A. Solicitation of guaranteed energy savings contracts. § 143-64.17B. Guaranteed energy savings contracts. § 143-64.17C: Repealed by Session Laws 2002, ch. 161, s. 5, effective January 1, 2003, and applicable to contracts entered into on or after that date. § 143-64.17E. Payments under contract. § 143-64.17F. State agencies to use contracts when feasible; rules; recommendations. § 143-64.17G. Report on guaranteed energy savings contracts entered into by local governmental units. § 143-64.17H. Report on guaranteed energy savings contracts entered into by State governmental units. § 143-64.17I. Installment and lease purchase contracts. § 143-64.17J. Financing by State governmental units. § 143-64.17K. Inspection and compliance certification for State governmental units. § 143-64.17L. Board of Governors may authorize energy conservation measures at constituent institutions. §§ 143-64.17L through 143-64.19. Reserved for future codification purposes. § 143-64.17M. Energy savings analysis required prior to implementation; post-implementation analyses required. Article 3C - Contracts to Obtain Consultant Services. § 143-64.20. "Agency" defined; Governor's approval required. § 143-64.21. Findings to be made by Governor. § 143-64.22. Contracts with other State agencies; competitive proposals. § 143-64.23. Compliance required; penalty for violation of Article. § 143-64.24. Applicability of Article. §§ 143-64.25 through 143-64.30. Reserved for future codification purposes. Article 3D - Procurement of Architectural, Engineering, and Surveying Services. § 143-64.31. Declaration of public policy. § 143-64.32. Written exemption of particular contracts. § 143-64.33. Advice in selecting consultants or negotiating consultant contracts. § 143-64.34. Exemption of certain projects. §§ 143-64.35 through 143-64.49. Reserved for future codification purposes. Article 3E - State/Public School Child Care Contracts. § 143-64.50. State/public school-contracted on-, near-site child care facilities; location authorization; contract for program services authorization. § 143-64.51. State/public school-contracted child care facilities; licensing requirements. § 143-64.52. State/public school-contracted child care facilities; limitation of State/local board liability. Article 3F - State Privacy Act. § 143-64.60. State Privacy Act. §§ 143-64.61 through 143-64.69. Reserved for future codification purposes. Article 3G - Personal Service Contracts. § 143-64.70: Repealed by Session Laws 2015-241, s. 26.2(d), effective July 1, 2015. §§ 143-64.71 through 143-64.79: Reserved for future codification purposes. Article 3H - Overpayments of State Funds. § 143-64.80. Overpayments of State funds to persons in State-supported positions; recoupment required. §§ 143-64.81 through 143-64.85: Reserved for future codification purposes. Article 4 - World War Veterans Loan Administration. §§ 143-65 through 143-105: Deleted by Session Laws 1951, c. 349. § 143-106: Repealed by Session Laws 1983, c. 913, s. 33. § 143-107. Transferred to § 143-106 by Session Laws 1951, c. 1010, s. 2. Article 6 - Officers of State Institutions. § 143-108. Secretary to be elected from directors. § 143-109. Directors to elect officers and employees. § 143-110. Places vacated for failure to attend meetings. § 143-111. Director not to be elected to position under board. § 143-112. Superintendents to be within call of board meetings. § 143-113. Trading by interested officials forbidden. § 143-114. Diversion of appropriations to State institutions. § 143-115. Trustee, director, officer or employee violating law guilty of misdemeanor. § 143-116. Venue for trial of offenses. §§ 143-116.1 through 143-116.5. Reserved for future codification purposes. Article 6A - Rules of Conduct; Traffic Laws for Institutions. § 143-116.6. Rules concerning conduct; violation. § 143-116.7. Motor vehicle laws applicable to streets, alleys and driveways on the grounds of Department of Health and Human Services institutions; traffic regulations; registration and regulation of motor vehicles. § 143-116.8. Motor vehicle laws applicable to State parks and forests road system. Article 7 - Persons Admitted to Department of Health and Human Services Institutions to Pay Costs. § 143-118. Secretary of Health and Human Services to fix cost and charges. § 143-118.1: Repealed by Session Laws 1987, c. 699, s. 1. § 143-120. Repealed by Session Laws 1985, c. 508, s. 8, effective October 1, 1985. § 143-121. Action to recover costs. § 143-121.1. Ratification of past acts. § 143-122. No limitation of action. § 143-123. Power to admit indigent persons. § 143-124. Suit by Attorney General; venue. § 143-125. Judgment; never barred. § 143-126. Death of a person admitted; lien on estate. § 143-126.1. Lien on property for unpaid balance due institution. § 143-127. Money paid into State treasury. § 143-127.1. Parental liability for payment of cost of care for long-term patients in Department of Health and Human Services facilities. Article 7A - Damage of Personal Property in State Institutions. § 143-127.2. Repair or replacement of personal property. § 143-127.6. Administrative and judicial review. Article 8 - Public Contracts. § 143-128. Requirements for certain building contracts. § 143-128.1. Construction management at risk contracts. § 143-128.1B. Design-build bridging contracts. § 143-128.1C. Public-private partnership construction contracts. § 143-128.2. Minority business participation goals. § 143-128.3. Minority business participation administration. § 143-128.4. Historically underutilized business defined; statewide uniform certification. § 143-129. Procedure for letting of public contracts. § 143-129.1. Withdrawal of bid. § 143-129.2. Construction, design, and operation of solid waste management and sludge management facilities. § 143-129.3. Exemption of General Assembly from certain purchasing requirements. § 143-129.4. Guaranteed energy savings contracts. § 143-129.5. Purchases from nonprofit work centers for the blind and severely disabled. § 143-129.6.  Exemption for certain training projects of the North Carolina National Guard. § 143-129.7. Purchase with trade-in of apparatus, supplies, materials, and equipment. § 143-129.8. Purchase of information technology goods and services. § 143-129.8A. Purchase of certain goods and services for the North Carolina Zoological Park. § 143-129.9. Alternative competitive bidding methods. § 143-130. Allowance for convict labor must be specified. § 143-131. When counties, cities, towns and other subdivisions may let contracts on informal bids. § 143-131.1. Exception for contracts for the purchase of food and supplies for county detention facilities by the sheriffs of certain counties. § 143-132. Minimum number of bids for public contracts. § 143-133. No evasion permitted. § 143-133.2: Reserved for future codification purposes. § 143-133.4: Reserved for future codification purposes. § 143-133.5. Public contracts; labor organizations. § 143-134. Applicable to Department of Transportation and Department of Public Safety; exceptions; all contracts subject to review by Attorney General and State Auditor. § 143-134.1. Interest on final payments due to prime contractors; payments to subcontractors. § 143-134.2. Actions by contractor on behalf of subcontractor. § 143-134.3. No damage for delay clause. § 143-135. Limitation of application of Article. § 143-135.1. State buildings exempt from county and municipal building requirements; consideration of recommendations by counties and municipalities. § 143-135.2. Contracts for restoration of historic buildings with private donations. § 143-135.3. Adjustment and resolution of State board construction contract claim. § 143-135.4. Authority of Department of Administration not repealed. § 143-135.5. State policy; cooperation in promoting the use of small, minority, physically handicapped and women contractors; purpose. § 143-135.6. Adjustment and resolution of community college board construction contract claim. § 143-135.9. Best Value procurements. Article 8A - Board of State Contract Appeals. §§ 143-135.10 through 143-135.24: Repealed by Session Laws 1987, c. 847, s. 5. Article 8B - State Building Commission. § 143-135.25. State Building Commission – Creation; staff; membership; appointments; terms; vacancies; chairman; compensation. § 143-135.26. Powers and duties of the Commission. § 143-135.27. Definition of capital improvement project. § 143-135.28. Conflict of interest. § 143-135.29. Review of Military Lands Protection Act proposals. § 143-135.30. Reserved for future codification purposes. § 143-135.31. Reserved for future codification purposes. § 143-135.32. Reserved for future codification purposes. § 143-135.33. Reserved for future codification purposes. § 143-135.34. Reserved for future codification purposes. Article 8C - Performance Standards for Sustainable, Energy Efficient Public Buildings. § 143-135.35. Findings; legislative intent. § 143-135.37. Energy and water use standards for public major facility construction and renovation projects; verification and reporting of energy and water use. § 143-135.38. Use of other standard when standard not practicable. § 143-135.39. Guidelines for administering the Sustainable Energy-Efficient Buildings Program. § 143-135.40. Monitor construction standards and sustainable building standards. Article 9 - Building Code Council and Building Code. § 143-136. Building Code Council created; membership, committees. § 143-137. Organization of Council; rules; meetings; staff; fiscal affairs. § 143-138. North Carolina State Building Code. § 143-138.1. Introduction and instruction of the North Carolina Building Code; posting of written commentaries and interpretations on Department of Insurance Web site. § 143-139. Enforcement of Building Code. § 143-139.1. Certification of manufactured buildings, structures or components by recognized independent testing laboratory; minimum standards for modular homes. § 143-139.2. Enforcement of insulation requirements; certificate for occupancy; no electric service without compliance. § 143-139.3. Inspection of liquified petroleum gas piping systems for residential structures. § 143-139.4. Certain building inspections by State. § 143-140. Hearings before enforcement agencies as to questions under Building Code. § 143-140.1. Appeals of alternative design construction and methods. § 143-141. Appeals to Building Code Council. § 143-142. Further duties of the Building Code Council. § 143-143. Effect on certain existing laws. § 143-143.1. Repealed by Session Laws 1971, c. 882, s. 1. § 143-143.2. Electric wiring of houses, buildings, and structures. § 143-143.3. Temporary toilet facilities at construction sites. § 143-143.4. Door lock exemption for certain businesses. § 143-143.5. Access to toilets in shopping malls. § 143-143.6. Expired pursuant to Session Laws 2007-82, s. 2, effective July 1, 2009. § 143-143.7: Reserved for future codification purposes. Article 9A - North Carolina Manufactured Housing Board – Manufactured Home Warranties. § 143-143.10. Manufactured Housing Board created; membership; terms; meetings. § 143-143.10A. Criminal history checks of applicants for licensure. § 143-143.11. License required; application for license. § 143-143.11A. Notification of change of address, control of ownership, and bankruptcy. § 143-143.13. Grounds for denying, suspending, or revoking licenses; civil penalties. § 143-143.17. Presenting claims for warranties and substantial defects. § 143-143.20. Disclosure of manner used in determining length of manufactured homes. § 143-143.20A. Display of pricing on manufactured homes. § 143-143.21: Repealed by Session Laws 1993, c. 409, s. 6. § 143-143.21A. Purchase agreements; buyer cancellations. § 143-143.21B. Dealer cancellation; deposit refund. § 143-143.22. Inspection of service records. § 143-143.23. Other remedies not excluded. § 143-143.24. Engaging in business without license a Class 1 misdemeanor. § 143-143.25. Staff support for Board. §§ 143-143.26 through 143-143.49: Reserved for future codification purposes. § 143-143.50. Escrow or trust account required. § 143-143.51. Use of escrow or trust funds; penalty for violations. § 143-143.52. Minimum requirements for dealer records for escrow or trust accounts at banks. § 143-143.53. Accountings for escrow or trust funds. § 143-143.54. Audits and record inspection. Article 9B - Uniform Standards Code For Manufactured Homes. § 143-146. Statement of policy; rule-making power. § 143-147. Structures built under previous standards. § 143-148. Certain structures excluded from coverage. § 143-149. Necessity for obtaining label for purposes of sale. § 143-150. No electricity to be furnished units not in compliance. § 143-151.4. Notification of defects and correction procedures. § 143-151.6. Reserved for future codification purposes. § 143-151.7. Reserved for future codification purposes. Article 9C - North Carolina Code Officials Qualification Board. § 143-151.9. North Carolina Code Officials Qualification Board established; members; terms; vacancies. § 143-151.11. Chairman; vice-chairman; other officers; meetings; reports. § 143-151.13. Required standards and certificates for Code-enforcement officials. § 143-151.13A. Professional development program for officials. § 143-151.15. Return of certificate to Board; reissuance by Board. § 143-151.16. Certification fees; renewal of certificates; examination fees. § 143-151.17. Grounds for disciplinary actions; investigation; administrative procedures. § 143-151.18. Violations; penalty; injunction. § 143-151.20. Donations and appropriations. § 143-151.21. Disposition of fees. §§ 143-151.22 through 143-151.25. Reserved for future codification purposes. Article 9D - Enforcement of Building Code Insulation and Energy Utilization Standards. §§ 143-151.26 through 143-151.41. Repealed by Session Laws 1999-393, s. 3, effective August 4, 1999. Article 9E - Master Electrical and Natural Gas Meters Prohibited. § 143-151.42. Prohibition of master meters for electric and natural gas service. Article 9F - North Carolina Home Inspector Licensure Board. § 143-151.46. North Carolina Home Inspector Licensure Board established; members; terms; vacancies. § 143-151.47. Compensation of Board members. § 143-151.48. Election of officers; meetings of Board. § 143-151.49. Powers and responsibilities of Board. § 143-151.50. License required to perform home inspections for compensation or to claim to be a "licensed home inspector". § 143-151.51. Requirements to be licensed as a home inspector. § 143-151.52: Repealed by Session Laws 2009-509, s. 3.3, effective October 1, 2013. § 143-151.53. Notification to applicant following evaluation of application. § 143-151.54. Miscellaneous license provisions. § 143-151.55. Renewal of license; inactive licenses; lapsed licenses. § 143-151.56. Suspension, revocation, and refusal to renew license. § 143-151.58. Duties of licensed home inspector. § 143-151.59. Violation is a misdemeanor. § 143-151.61: Repealed by Session Laws 2009-509, s. 3.3, effective October 1, 2013. § 143-151.62. Persons and practices not affected. § 143-151.64. Continuing education requirements. § 143-151.65: Reserved for future codification purposes. § 143-151.66: Reserved for future codification purposes. § 143-151.67: Reserved for future codification purposes. § 143-151.68: Reserved for future codification purposes. § 143-151.69: Reserved for future codification purposes. Article 9G - Military Lands Protection. § 143-151.73. Certain buildings and structures prohibited without endorsement. § 143-151.74. Exemptions from applicability. § 143-151.75. Endorsement for proposed tall buildings or structures required. § 143-151.76. Application to existing tall buildings and structures. § 143-151.77. Enforcement and penalties. Article 10 - Various Powers and Regulations. § 143-152. Injury to water supply misdemeanor. § 143-153. Keeping swine near State institutions; penalty. § 143-154. Expenditures for departments and institutions; accounting and warrants. § 143-155. Repealed by Session Laws 1983, c. 913, s. 36, effective July 22, 1983. § 143-156. Certain institutions to report to Governor and General Assembly. § 143-157. Reports of departments and institutions; investigations and audits. § 143-157.1. Reports on gender-proportionate appointments to statutorily created decision-making regulatory bodies. § 143-159. Governor given authority to direct investigation. § 143-160. Conduct of investigation. § 143-161. Stenographic record of proceedings. § 143-162: Repealed by Session Laws 1955, c. 984. § 143-162.1. First menu operator access. § 143-162.2. Use of public property by production companies. Article 11 - Revenue Bonds and Governmental Aid. § 143-163. State agencies may issue bonds to finance certain public undertakings. § 143-164. Acceptance of federal loans and grants permitted. § 143-165. Approval by Governor and Council of State necessary; covenants in resolutions authorizing bonds. Article 12 - Law-Enforcement Officers' Retirement System. §§ 143-166 through 143-166.04: Repealed by Session Laws 1985, c. 479, s. 196(t). Article 12A - Public Safety Employees' Death Benefits Act. § 143-166.4. Funds; conclusiveness of award. § 143-166.5. Other benefits not affected. § 143-166.6. Awards exempt from taxes. § 143-166.7. Applicability of Article. §§ 143-166.8 through 143-166.12. Reserved for future codification purposes. Article 12B - Salary Continuation Plan for Certain State Law-Enforcement Officers. § 143-166.13. Persons entitled to benefits under Article. § 143-166.14. Payment of salary notwithstanding incapacity; Workers' Compensation Act applicable after two years; duration of payment. § 143-166.15. Application of § 97-27; how payments made. § 143-166.16. Effect on workers' compensation and other benefits; application of § 97-24. § 143-166.17. Period of incapacity not charged against sick leave or other leave. § 143-166.18. Report of incapacity. § 143-166.19. Determination of cause and extent of incapacity; hearing before Industrial Commission; appeal; effect of refusal to perform duties. §§ 143-166.21 through 143-166.29. Reserved for future codification purposes. Article 12C - Retirement Benefits for State Law-Enforcement Officers. § 143-166.30. Retirement benefits for State law-enforcement officers. §§ 143-166.31 through 143-166.39. Reserved for future codification purposes. Article 12D - Separation Allowances for Law-Enforcement Officers. § 143-166.40. Rules for selection and retention of law-enforcement officers; rules exempt from Administrative Procedure Act. § 143-166.41. Special separation allowance. § 143-166.42. Special separation allowances for local officers. § 143-166.43. Separation buyouts for law enforcement officers. § 143-166.44: Reserved for future codification purposes. § 143-166.45: Reserved for future codification purposes. § 143-166.46: Reserved for future codification purposes. § 143-166.47: Reserved for future codification purposes. § 143-166.48: Reserved for future codification purposes. § 143-166.49: Reserved for future codification purposes. Article 12E - Retirement Benefits for Local Governmental Law-Enforcement Officers. § 143-166.50. Retirement benefits for local governmental law-enforcement officers. §§ 143-166.51 through 143-166.59. Reserved for future codification purposes. Article 12F - Separate Insurance Benefits Plan for State and Local Governmental Law-Enforcement Officers. § 143-166.60. Separate insurance benefits plan for law-enforcement officers. §§ 143-166.61 through 143-166.69. Reserved for future codification purposes. Article 12G - Transfers of Assets of Law-Enforcement Officers' Retirement System to Other Retirement Systems. § 143-166.70. Transfers of assets of Law-Enforcement Officers' Retirement System to other retirement systems. §§ 143-166.71 through 143-166.79. Reserved for future codification purposes. Article 12H - Sheriffs' Supplemental Pension Fund Act of 1985. § 143-166.80. Short title and purpose. § 143-167. Transferred to G.S. 147-54.1 by Session Laws 1943, c. 543. § 143-169. Limitations on publications. § 143-169.1. State agency public document mailing lists to be updated. § 143-170. Repealed by Session Laws 1955, c. 986. § 143-170.1. Statement of cost of public documents; chief administrator charged with compliance. § 143-170.2. Publication procedure manuals. § 143-170.4. Administrative Office of the Courts; publications procedures manual; reports. § 143-170.5. Designated public documents to be printed on alkaline paper. Article 14 - North Carolina Zoological Authority. §§ 143-171 through 143-176.1: Repealed by Session Laws 1973, c. 1262, s. 85. §§ 143-177 through 143-177.3: Recodified as G.S. 143B-135.210 through 143B-135.213 by Session Laws 2015-241, s. 14.30(j), effective July 1, 2015. Article 15 - Council of State Governments. §§ 143-178 through 143-185: Repealed by Session Laws 1975, c. 879, s. 25. § 143-186. Council of State Governments a joint governmental agency. § 143-187. Transferred to G.S. 143-186 by Session Laws 1959, c. 137, s. 4. § 143-188: Repealed by Session Laws 1959, c. 137, s. 1. Article 16 - Spanish-American War Relief Fund. §§ 143-189 through 143-190: Repealed by Session Laws 1961, c. 481. Article 17 - State Post-War Reserve Fund. § 143-191. Appropriation for fund. § 143-192. Fund to be invested by Governor and Council of State; State Treasurer custodian. § 143-193. Fund to be held for such use as directed by General Assembly. § 143-194. Report to General Assembly. Article 18 - Rules and Regulations Filed with Secretary of State. §§ 143-195 through 143-198.1. Repealed by Session Laws 1973, c. 1331, s. 2. Article 19 - Roanoke Island Historical Association. § 143-199. Association under patronage and control of State. § 143-200. Members of board of directors; terms; appointment. § 143-201. Bylaws; officers of board. § 143-202. Exempt from taxation; gifts and donations. § 143-202.1. Memorandum of Agreement for operation of Roanoke Festival Park and Elizabeth II State Historic Site and Visitor Center. § 143-202.2. Friends of Elizabeth II support for Roanoke Island Festival Park. § 143-202.3. Historic Roanoke Island Fund. § 143-202.4. Roanoke Island Festival Park staff. § 143-203. Repealed by Session Laws 1983, c. 913, s. 39, effective July 22, 1983. § 143-204. Repealed by Session Laws 1977, c. 996, s. 3. Article 19A - Governor Richard Caswell Memorial Commission. §§ 143-204.1 through 143-204.4. Repealed by Session Laws 1973, c. 476, s. 116. Article 19B - Historic Swansboro Commission. §§ 143-204.5 through 143-204.7. Repealed by Session Laws 1973, c. 476, s. 116. Article 19C - Outdoor Historical Dramas. § 143-204.8. Allotments to outdoor historical dramas. Article 20 - Recreation Commission. §§ 143-205 through 143-210.1: Repealed by Session Laws 1969, c. 1145, s. 4. Article 21 - Water and Air Resources. § 143-211. Declaration of public policy. § 143-214. Repealed by Session Laws 1973, c. 1262, s. 23. § 143-214.1. Water; water quality standards and classifications; duties of Commission. § 143-214.2A. Prohibited disposal of medical waste. § 143-214.2B. Storage of waste on vessels. § 143-214.3. Revision to water quality standard. § 143-214.4. Certain cleaning agents containing phosphorus prohibited. § 143-214.5. Water supply watershed protection. § 143-214.6: Repealed by Session Laws 2004-195, s. 3.1, effective August 17, 2004. § 143-214.7. Stormwater runoff rules and programs. § 143-214.7A. Stormwater control best management practices. § 143-214.7B. Fast-track permitting for stormwater management systems. § 143-214.7C. Prohibit the requirement of mitigation for certain impacts; establish threshold for mitigation of impacts to streams. § 143-214.8. Division of Mitigation Services: established. § 143-214.9. Division of Mitigation Services: purposes. § 143-214.10. Division of Mitigation Services: development and implementation of basinwide restoration plans. § 143-214.11. Division of Mitigation Services: compensatory mitigation. § 143-214.12. Division of Mitigation Services: Ecosystem Restoration Fund. § 143-214.13. Division of Mitigation Services: reporting requirement. § 143-214.14. Cooperative State-local coalition water quality protection plans. § 143-214.15. Compensatory mitigation for diverse habitats. §§ 143-214.16 through 143-214.19. Reserved for future codification purposes. § 143-214.20. Riparian Buffer Protection Program: Alternatives to maintaining riparian buffers; compensatory mitigation fees. § 143-214.21. Riparian Buffer Protection Program: Riparian Buffer Restoration Fund. § 143-214.22. Riparian Buffer Protection Program: Department may accept donations of real property. § 143-214.23. Riparian Buffer Protection Program: Delegation of riparian buffer protection requirements to local governments. § 143-214.23A. Limitations on local government riparian buffer requirements. § 143-214.24. Riparian Buffer Protection Program: Coordination with River Basin Associations. § 143-214.25A. Riparian Buffer Protection Program: Surface Water Identification Training and Certification Program. § 143-214.26. Nutrient offset credits. § 143-215. Effluent standards or limitations. § 143-215.1. Control of sources of water pollution; permits required. § 143-215.1A. Closed-loop groundwater remediation systems allowed. § 143-215.1B. Extension of date for compliance with nitrogen and phosphorus discharge limits. § 143-215.1C. Report to wastewater system customers on system performance; report discharge of untreated wastewater to the Department; publication of notice of discharge of untreated wastewater and waste. § 143-215.2A. Relief for contaminated private drinking water wells. § 143-215.3. General powers of Commission and Department; auxiliary powers. § 143-215.3A. Water and Air Quality Account; use of application and permit fees; Title V Account; I & M Air Pollution Control Account; reports. § 143-215.3B: Repealed by Session Laws, 2005-454, s. 8, effective January 1, 2006. § 143-215.3C. Confidential information protected. § 143-215.3D. Fee schedule for water quality permits. § 143-215.3E. (Expires December 31, 2020) Authority of Governor to require facility to cease operations and activities for unauthorized PFAS discharges or releases. § 143-215.4. Mailing list for rules; procedures for public input; form of order or decision; seal; official notice. § 143-215.6: Recodified as §§ 143-215.6A through 143-215.6C. § 143-215.6A. Enforcement procedures: civil penalties. § 143-215.6B. Enforcement procedures: criminal penalties. § 143-215.6C. Enforcement procedures; injunctive relief. § 143-215.6D. Additional requirements applicable to certain municipal wastewater treatment facilities. § 143-215.6E. Violation Points System applicable to swine farms. § 143-215.7. Effect on laws applicable to public water supplies and the sanitary disposal of sewage. § 143-215.8. Repealed by Session Laws 1973, c. 698, s. 13. § 143-215.8B. Basinwide water quality management plans. § 143-215.8C: Repealed by Session Laws 2005-386, s. 2.1, effective December 1, 2005. § 143-215.8D. North Carolina Water Quality Workgroup; Rivernet. § 143-215.9. Restrictions on authority of the Commission. § 143-215.9B. Systemwide municipal and domestic wastewater collection system permit program report. § 143-215.9C. Use of certain types of culverts allowed. § 143-215.9D. Agricultural operation investigations confidential. § 143-215.9E. Initial consideration of complaint. § 143-215.10: Repealed by Session Laws 1973, c. 1262, s. 23. § 143-215.10A. Legislative findings and intent. § 143-215.10C. Applications and permits. § 143-215.10E. Violations requiring immediate notification.